How Prepared is Your Preparer? 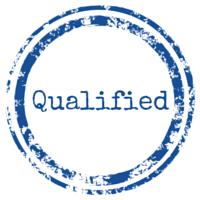 If you are hiring a paid tax preparer this year, how do you know the person is qualified? Many professions are full of licensed practitioners. For example, you can’t hire a lawyer who hasn’t passed a bar exam and is licensed to practice in your area. Licenses are certainly required for medical professionals. Electricians and most other home services providers must be licensed. But when it comes to tax preparers, licenses are generally not required. Almost anyone can advertise tax preparation services and file a tax return on your behalf or fill it out for you to submit. Anyone can purchase an off-the-shelf tax program, hang a shingle and become a paid preparer. Unlike other industries, there is no national licensing requirement to become a paid preparer. So how do you know if they are qualified? The Internal Revenue Service (IRS), does however, require all paid tax preparers to have a Preparer Tax Identification Number (PTIN), so make sure your tax preparer has one and enters it on your return. Since all tax preparation credentials are earned voluntarily, it is important to look for a preparer who has obtained voluntary credentials validating his or her experience. Having credentials typically requires passing exams, abiding to a code of ethics and taking a minimum amount of continuing professional education (CPE) every year. Read a Guide to Tax and Accounting Credentials.